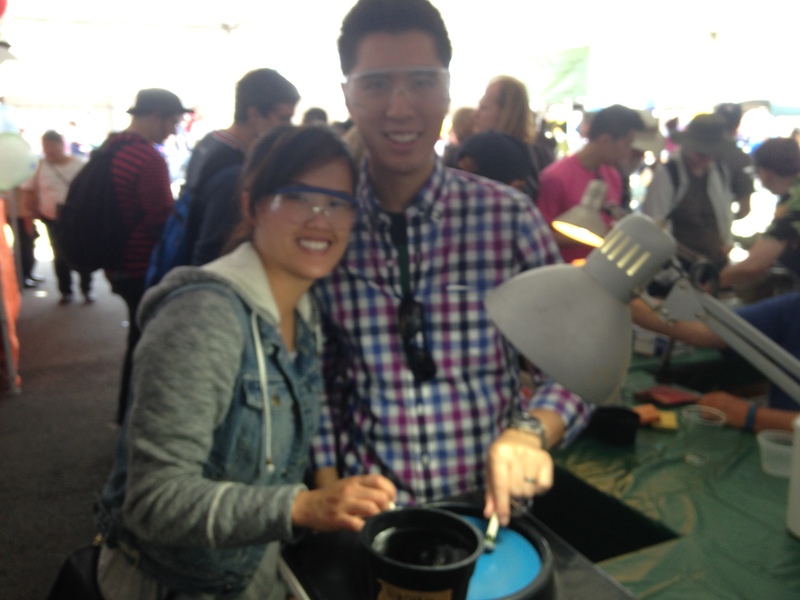 This weekend, we got free tickets to the Makers Faire in San Mateo. 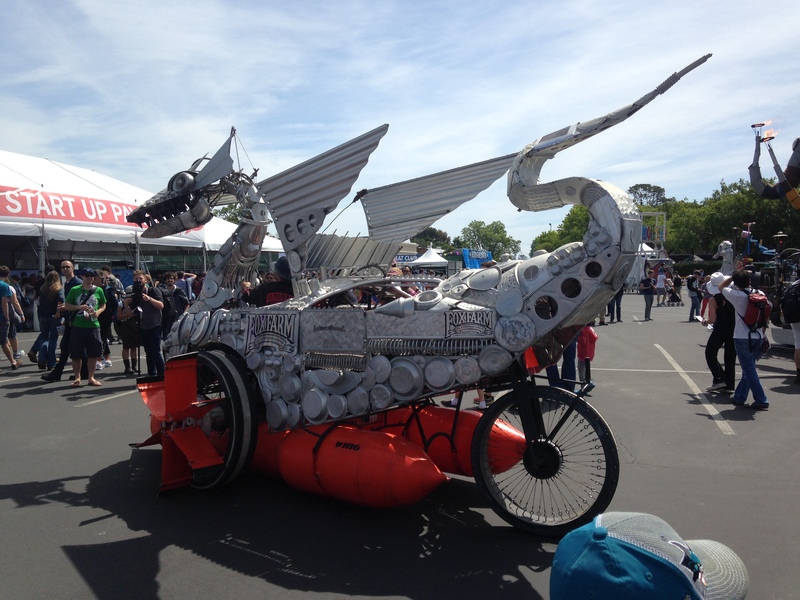 I have heard great things in the past about Makers Faire and was excited we get to attend this year! 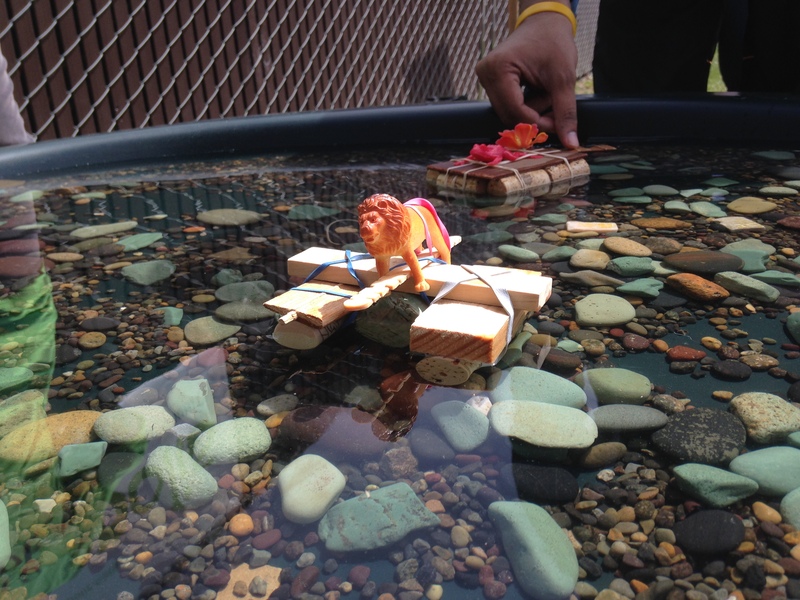 This is a yearly fair that consists of tons of DIY stations, new technologies and electronics, cool displays using ordinary things and lots more. 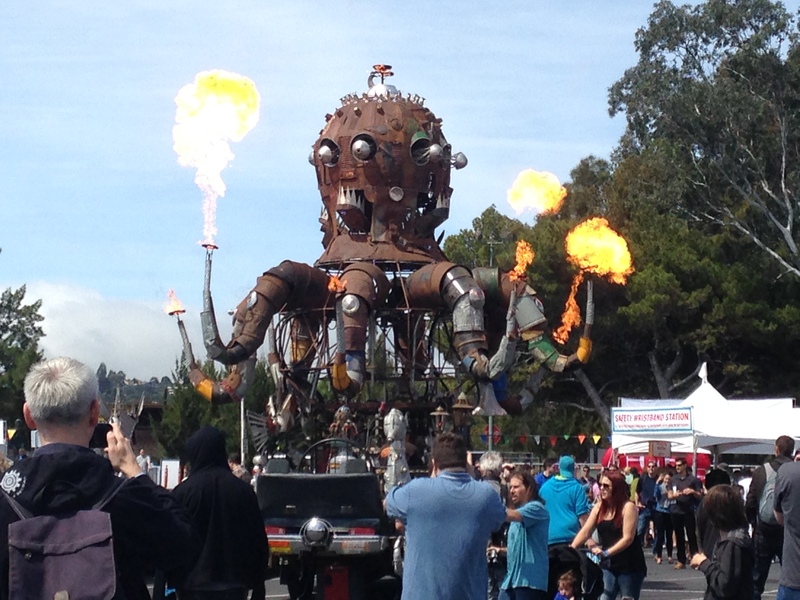 We arrived early but there was still a ton of people, there is still a chance to go today, here are highlights from the faire! 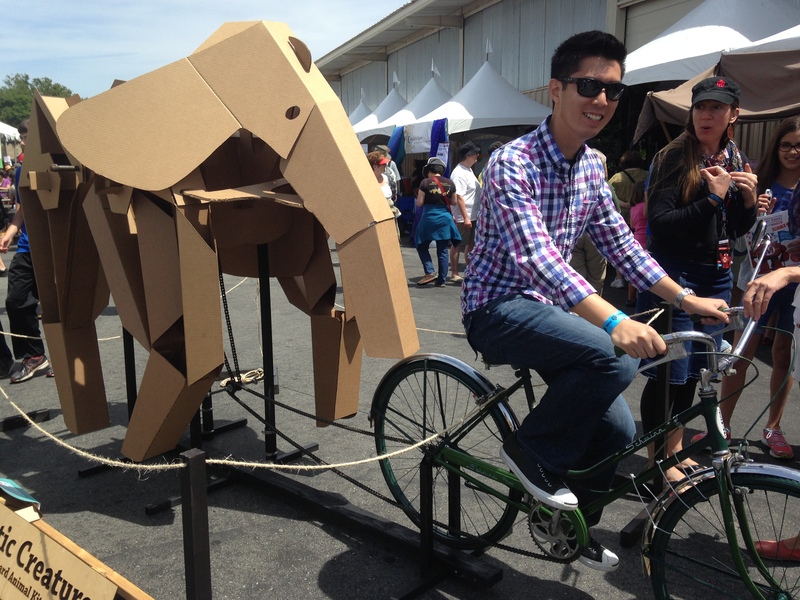 Using energy from biking to power the cardboard elephant. 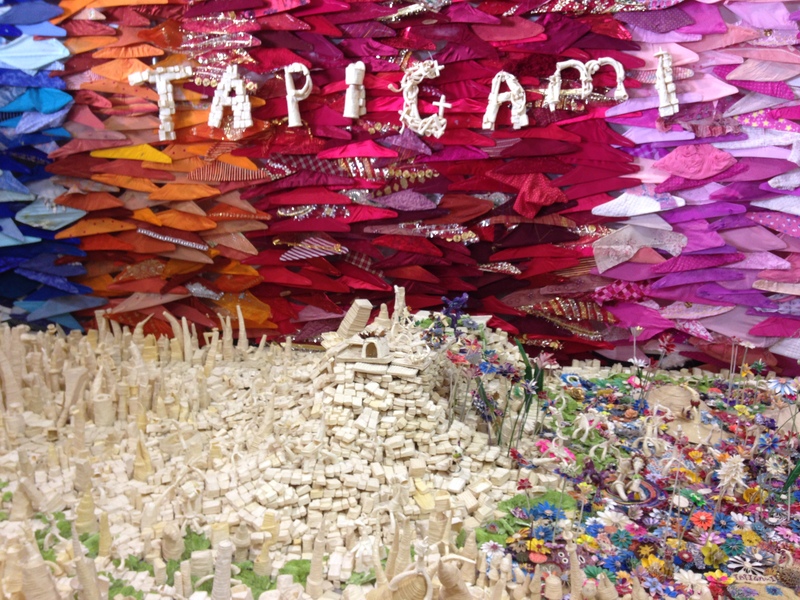 large art structure where everything is made out of TAPE!